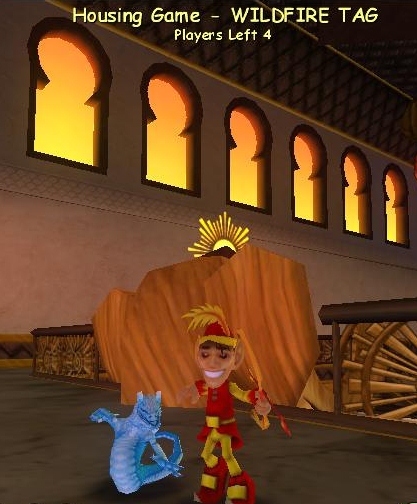 Kingsisle announced this afternoon that the test realm is online. The big news is a new interactive game that can be played in your house....Tag! 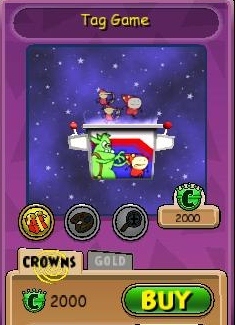 The Tag Game can be purchsed for 2000 crowns and it is SOOOO much fun! I only had a few minutes to log on, but I ported and played for a little with Edward Lifegem, Diana Wildheart, Paige Moonshade and a few other people. In the regular version of the game, the person who is "It" turns into a gobbler and when they go close to another player, that person becomes "It". 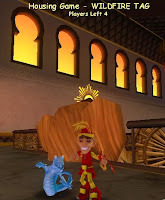 There is also another version called Wildfire Tag where the person who is "It" tags people and they become fire elves. In this version, the last person left is the winner. This will be an awesome addition to all those in-game parties. I can't wait until this update is released on the live realm! There are also some other updates to check out on the test realm. You can read about them in the update notes. 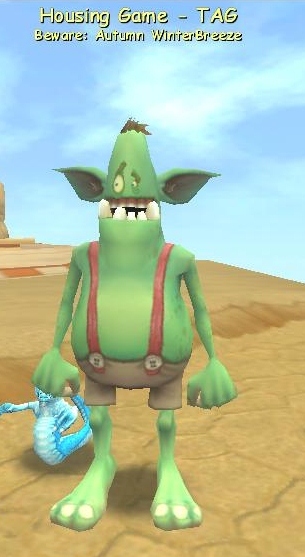 If you can, be sure to log onto the test realm (it can be downloaded here) and check out these great new additions to an already amazing game!